This lesson is the first in a series for beginning writers. 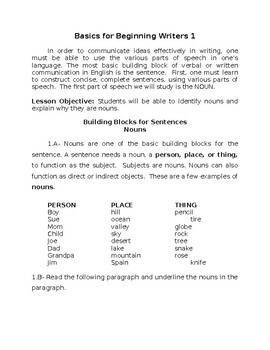 The lesson objective is that the student should be able to identify nouns and to explain why they are nouns. 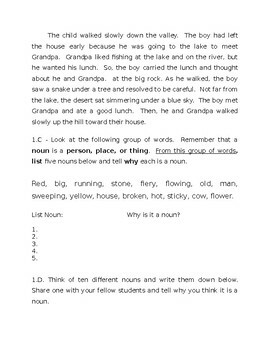 The student also learns that nouns are used as the subjects in sentences.